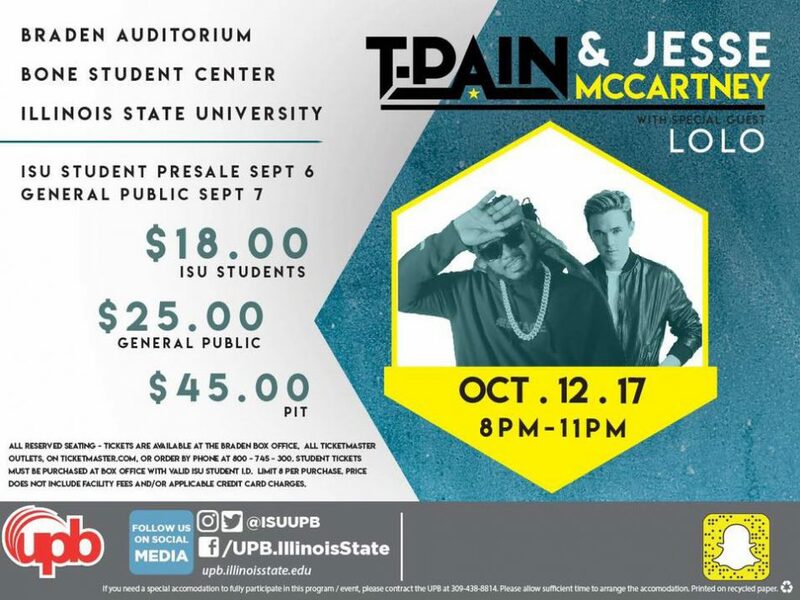 Do you have your tickets to the nearly sold out T-Pain concert? If not, make sure you tune into “WZND’s I’m in Love with the Ticket” giveaway starting Tuesday, October 3rd! We will be giving away five pairs of tickets for the show on Thursday, October 12th at The Braden Auditorium featuring Jesse McCartney and Lolo. All you have to do is tune into WZND and listen for your chance to finish the lyric, and win those tickets! 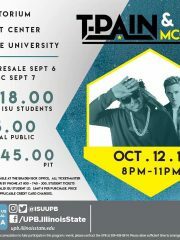 Call WZND at 309-438-1033 when you hear the cue to finish a T-Pain or Jesse McCartney song lyric. If you miss the chance to play the first time, don’t worry! We will be giving away four more pairs of tickets on October 5th, 9th, 10th and 11th as well. Just make sure to tune into WZND!